Time flies, she is coming to 2 years old! She begins to show her true self to the teachers in school… all the teachers told me that she has become more active and chatty in school, even communicating to other toddlers in their toddler language. LOL. 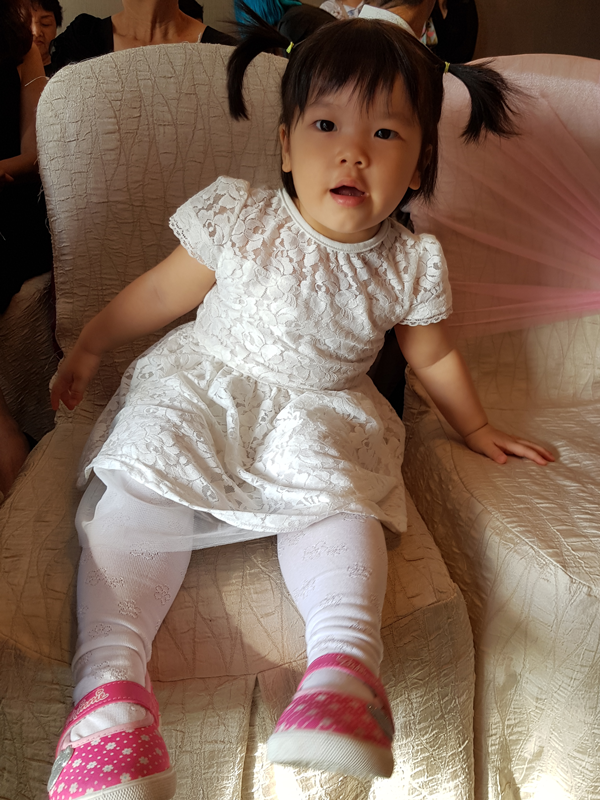 She also show signs of ‘maturity’ in morning, if she wake up and find that she is alone with her “showering daddy” (the cue that there’s noise from toilet with the door close), she will wait quietly, or play by herself, outside the toilet and wait for the daddy to come out from the toilet. At 24th month she has become better physically, every time she saw us putting some food on the table, she will climb up to the chair which we have been sitting (and used to be too high for her to climb), and wait for us to share the food with her. She also show sighs of understanding the real world although everything is a ‘no-no’ to her (she keep saying ‘no’ to everything we asked her). Unfortunately, she started to bite and hit people again recently… just when I thought everything is getting better. I wish she can outgrown this biting habit soon. Kids grow up so fast. Their habits changes quickly as well. Sometimes it is really hard to control them, but it is necessary to do so.